Earlier this year, president of France Emmanuel Macron put out the call for projects for the first annual Paris Peace Forum, a global platform for analysis of governance projects. 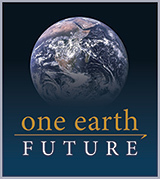 One Earth Future’s mission echoes the belief that sustainable peace comes from a global system of networks collaborating together, and One Earth Future is excited to participate in the inaugural Paris Peace Forum this November. The event will be a forum for discussion and debate with special emphasis on civil society initiatives, and a forum for sharing experiences and innovative solutions involving all the stakeholders in governance, from heads of state and government leaders to regional and international organizations, UN agencies, and civil society actors from companies, NGOs, foundations, think tanks, and more. The forum hopes to prove that there is still a constituency for collective action among states and civil society organizations in both the Global North and the Global South beyond populism and inter-state tensions, and will help mobilize public opinion and leaders in global governance. The Shuraako program, which connects investors with Somali businesses to encourage economic development and stability, will be representing OEF at the forum. Shuraako was selected out of nearly 900 applicants from 116 countries as one of the 119 projects that will be featured in the “Space of Solutions” exhibition. The selected projects center around solutions to challenges in five key issue areas: peace and security, the environment, development, new technologies, and the inclusive economy. The Forum will take these projects one step further by publicizing them, vetting them through debates in various formats, and allowing their promoters meet the "implementers"—international bodies like the UN, the G7, the G20, BRICS, the OECD, and many others.